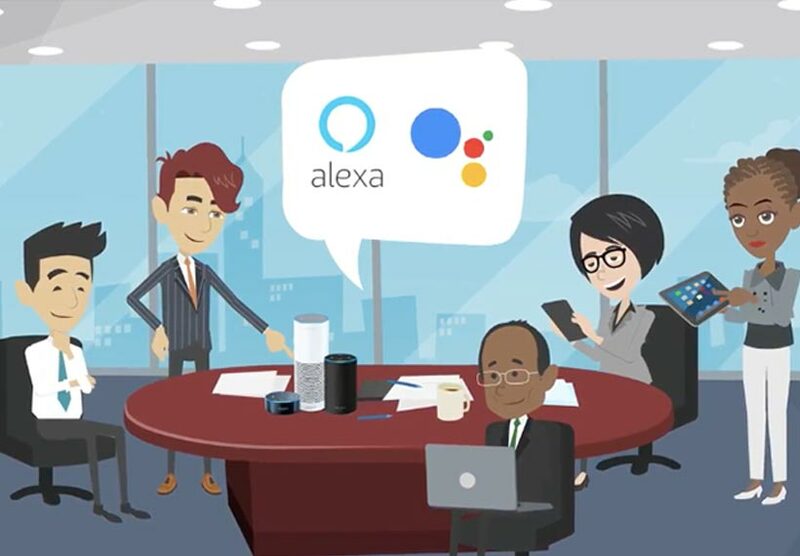 Witlingo provides a Web interface for analyzing, optimizing, and creating interactive conversational experiences that can be accessed via Far Field voice devices such as Amazon’s Alexa products, Google’s Assistant, and mobile devices that enable users to engage in language based conversations (together, the “Service”). This document sets forth the Terms and Conditions under which you may use the Service. The Service includes this web site (the “Web Site”) and the corresponding interactive service known as the Witlingo Voice Network (the “Witlingo Voice Network”). Please read this page carefully. If you do not accept the Terms and Conditions stated here, do not use the Service. We may revise these Terms and Conditions at any time by updating this posting. You should visit this page periodically to review the Terms and Conditions, because they are binding on you. If you violate any of these Terms or Conditions, your permission to use the Service automatically terminates. Witlingo.com invites you to view, use and download a single copy of the Web Site for your personal, non-commercial use. You may also listen to and use a single session of the Witlingo Voice Network subject to the same restrictions. Using the Service to evaluate whether to enter into a business relationship with Witlingo shall not constitute a commercial use for the purposes hereof. Except as otherwise provided on this page, no part of any content or software on the Service may be copied, downloaded, recorded or stored in a retrieval system for any other purpose, nor may it be redistributed for any purpose, without the express written permission of Witlingo. ALL CONTENT ON THE SERVICE, INCLUDING WITHOUT LIMITATION THE WEB SITE AND THE Witlingo VOICE NETWORK, IS PROVIDED TO YOU ON AN “AS IS” “AS AVAILABLE” BASIS WITHOUT WARRANTY OF ANY KIND EITHER EXPRESS OR IMPLIED, INCLUDING BUT NOT LIMITED TO THE IMPLIED WARRANTIES OF MERCHANTABILITY, FITNESS FOR A PARTICULAR PURPOSE, AND NON-INFRINGEMENT. Witlingo MAKES NO WARRANTY AS TO THE ACCURACY, COMPLETENESS, CURRENCY, OR RELIABILITY OF ANY CONTENT AVAILABLE THROUGH THE SERVICE. YOU ARE RESPONSIBLE FOR VERIFYING ANY INFORMATION BEFORE RELYING ON IT. USE OF THE SERVICE AND THE CONTENT AVAILABLE ON THE SERVICE IS AT YOUR SOLE RISK. Witlingo MAKES NO REPRESENTATIONS OR WARRANTIES THAT USE OF THE SERVICE WILL BE UNINTERRUPTED OR ERROR-FREE. YOU ARE RESPONSIBLE FOR TAKING ALL NECESSARY PRECAUTIONS TO ENSURE THAT ANY CONTENT YOU MAY OBTAIN FROM THE WEB SITE IS FREE OF VIRUSES. Witlingo SPECIFICALLY DISCLAIMS ANY LIABILITY, WHETHER BASED IN CONTRACT, TORT, STRICT LIABILITY OR OTHERWISE, FOR ANY DIRECT, INDIRECT, INCIDENTAL, CONSEQUENTIAL, OR SPECIAL DAMAGES ARISING OUT OF OR IN ANY WAY CONNECTED WITH ACCESS TO OR USE OF THE SERVICE, EVEN IF Witlingo HAS BEEN ADVISED OF THE POSSIBILITY OF SUCH DAMAGES, INCLUDING BUT NOT LIMITED TO RELIANCE BY ANY PARTY ON ANY CONTENT OBTAINED THROUGH THE USE OF THE SERVICE, OR THAT ARISES IN CONNECTION WITH MISTAKES OR OMISSIONS IN, OR DELAYS IN TRANSMISSION OF, INFORMATION TO OR FROM THE USER, INTERRUPTIONS IN TELECOMMUNICATIONS CONNECTIONS TO THE SERVICE OR VIRUSES, WHETHER CAUSED IN WHOLE OR IN PART BY NEGLIGENCE, ACTS OF GOD, TELECOMMUNICATIONS FAILURE, THEFT OR DESTRUCTION OF, OR UNAUTHORIZED ACCESS TO THE SERVICE, OR RELATED INFORMATION OR PROGRAMS. Witlingo® and Witlingo.COM (SM) are service marks of Witlingo. Witlingo VOICE NETWORKS (SM) and SIMPLIFYING THE VOICE WEB are service marks of Witlingo. Unauthorized use of any Witlingo trademark, service mark or logo may be a violation of federal and state trademark laws. The Service is protected by U.S. and international copyright laws. Except for your informational, personal, non-commercial use as authorized above, you may not modify, reproduce or distribute the content, design or layout of the Service, or individual sections of the content, design or layout of the Service or Witlingo logos without our express written permission. Witlingo reserves the right to modify the Service, and the rules and regulations governing its use, at any time. Modifications will be posted on the Web Site, and users are deemed to be apprised of and bound by any changes to the Service. Witlingo may make changes in the products and/or services described on the Service at any time. From time to time, we may post links that will allow you to leave the Web Site and, in the future, we may offer links that will allow you to leave the Witlingo Voice Network. The linked sites are not under the control of Witlingo, and the content available on the sites linked to the Service do not necessarily reflect the opinion of Witlingo. Witlingo is providing these links as a convenience to you, and access to any other sites linked to the Service is at your own risk. Witlingo assumes no responsibility for the content of such linked sites. The inclusion of any link does not imply a recommendation or endorsement by Witlingo of the linked site. Unless otherwise set forth in a written agreement between you and Witlingo, you must adhere to Witlingo’s linking policy as follows: (i) any link to the Web Site must be a text only link clearly marked “www.witlingo.com,” (ii) the appearance, position and other aspects of the link may not be such as to damage or dilute the goodwill associated with Witlingo’s names and trademarks, (iii) the link must “point” to the URL https://www.witlingo.com and not to other pages within the Web Site, (iv) the appearance, position and other attributes of the link may not create the false appearance that your organization or entity is sponsored by, affiliated with, or associated with witlingo.com, (v) when selected by a user, the link must display the Web Site on a full-screen and not within a “frame” on the linking Web Site, and (vi) Witlingo reserves the right to revoke its consent to the link at any time and in its sole discretion. In consideration of your use of the Service, you agree to: (1) provide true, accurate, current and complete information about yourself, including, but not limited to, your email address, first and last name, and billing information, as prompted by the Service’s subscription forms (such information being the “Registration Data”), and (2) maintain and promptly update the Registration Data to keep it true, accurate, current and complete. If you provide information that is untrue, inaccurate, not current or incomplete, or if Witlingo has reasonable grounds to suspect that such information is untrue, inaccurate, not current or incomplete, Witlingo has the right to suspend or terminate your use of the Service and any future use of the Service (or any portion of the Service). You agree that you will not use any user information received as a result of your participation in the Service (“User Information”) for any purpose other than those explicitly agreed to by the user to whom that information pertains. As an example and not a limitation, you agree that you will not “cold-call” or engage in any type of unsolicited marketing based on User Information. You further agree that you will not disclose any User Information to anyone not subject to these terms and conditions. User Information includes any information included in reports from Witlingo. You are responsible for maintaining the confidentiality of your registration number and password, and you are responsible for all uses of your registration number or password, and any and all related charges, whether or not authorized by you. The content accessed through the Service is intended to be a general information resource for the subject matter covered, but is provided solely on an “AS IS” and “AS AVAILABLE” basis as noted herein. You are encouraged to confirm the information contained herein with other sources. Witlingo is not engaged in rendering medical, investment, financial, tax, accounting, legal, engineering, medical or other professional services or advice. If you desire or need such services or advice, you should consult a professional. You should not construe Witlingo’s publication of this content as an endorsement by Witlingo of the views expressed herein, or any warranty or guarantee of any of these views, opinions or recommendations. Although Witlingo undertakes no obligation to review, monitor or moderate any content posted to the Service, Witlingo reserves the right to remove any such content, whether it be on the Web Site or the Witlingo Voice Network, at any time for any reason or no reason. Unless expressly noted, Witlingo does not control, approve or endorse any content posted on the Service, or represent the accuracy, truthfulness, quality or reliability of any such content. The content posted by users of the Service is solely the opinion and/or expression of the user that posted such content, and does not necessarily reflect the opinions of Witlingo. Any reliance by you upon the content of the Service shall be at your sole risk. You should exercise sound judgment when posting content to the Service to avoid making threatening, offensive, abusive, unlawful, false or unsubstantiated remarks. You are solely responsible for any messages posted by you that include any such remarks, and each message you post may identify you as the author of such message. You should also avoid posting any message containing (1) personal information, (2) confidential information or (3) any third party content (e.g., music, voice recordings, etc.) without the express written permission of the content owner. You agree to indemnify and hold harmless Witlingo from and against any claims, demands, loss, damage or expense, including without limitation attorneys’ fees, relating to content you make available to others on or through the Service. Your commercial dealings with advertisers and/or vendors found on or through the Service (each, a “Vendor”), including payment and delivery of goods or services, and any other terms, conditions, warranties or representations associated with such dealings, are solely between you and such Vendor. You agree that Witlingo shall not be responsible or liable for any loss or damage of any sort incurred as the result of any such dealings or as the result of the presence of such Vendors on the Service. The Service is operated by witlingo from its offices in the United States and around the world. Witlingo makes no representation that the information located on the Service is appropriate or available for use in other locations, and access to the Service from territories where the content of the Service may be illegal is prohibited. Those who choose to access the Service from other locations do so on their own initiative and are responsible for compliance with applicable local laws. Any claims relating to the information available on the Service will be governed by the laws of the Commonwealth of Virginia, U.S.A., excluding the application of its conflicts of law rules. Witlingo reserves the right to seek all remedies available at law and in equity for violations of these Terms and Conditions, including the right to block access from a particular Internet address or phone number to the Service. Witlingo may terminate this Agreement and/or your access to the Service at any time for any reason or no reason. These terms were last updated on December 27, 2016.